Singapore’s National Water Agency, PUB, is planning to install deliver smart shower devices for 10,000 new homes under the Smart Shower Programme. Two companies, Amphiro AG, and Smart and Blue have been appointed for the same. PUB aims to provide households with real time feedback on their water consumption through the use of technology, which will allow families to adjust their water usage habits and achieve water savings. Following a Request for Proposal earlier this year, PUB received a total of four proposals. Amphiro AG and Smart and Blue were selected because of their track records and proposed device model. Amphiro AG proposed a device that comes with a panel display of real-time water consumption in numerical figures, while Smart and Blue’s proposal incorporates the use of colour codes at the showerhead to indicate varying consumption levels – a darker colour means that more water is being used. The proposals from both companies also incorporated advanced interactive features, such as allowing users to set their own water conservation goals and monitor their water consumption history. An NUS (National University of Singapore)-PUB behaviour study on the use of smart shower devices indicated that households can save about 5 litres of water per person per day, when provided with real-time information while taking their showers. Building on these findings, such devices will be installed for some 10,000 new homes under the ‘Smart Shower Programme’ over the next few years to validate the effect of such devices with the aim of conserving water during showers. The successful use of such devices can potentially help households save about 3% of their monthly water bill. The deployment of these devices in new BTO (Build-To-Order) flats will start from the first quarter of 2018, and continue into 2019. BTO flats are part of public housing in Singapore, built by the Housing & Development Board (HDB). 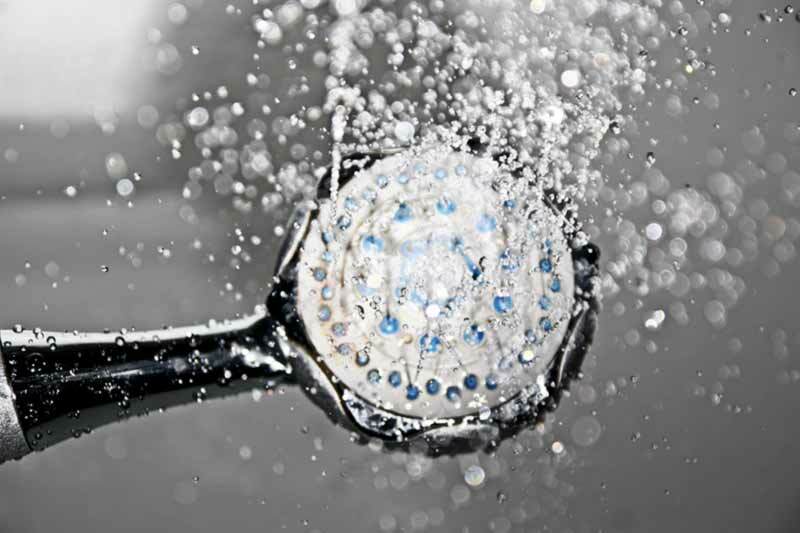 “Showering typically comprises 29% of a household’s monthly water consumption. To better manage water usage, PUB aims to provide information to customers to make informed decisions especially in areas of higher usage. Our trials for smart shower devices with real-time feedback, amongst the first of its kind in Asia, showed that households can save up to 20% of their usage for showers,” said Mr. Michael Toh, PUB’s Director of Water Supply (Network). “Building on this, we have reached out to the industry and two different ways in which the information can be conveyed to the customers have emerged. We hope to compare the results of these two products, and learn with the intent for wider adoption and more options for customers,” he added. “Initiatives such as the use of smart shower devices that provide real-time information can motivate behavioural change and complement traditional policy tools in achieving Singapore’s water conservation goals,” said Professor Ho Teck Hua, Deputy President (Research & Technology) and Tan Chin Tuan Centennial Professor, NUS.